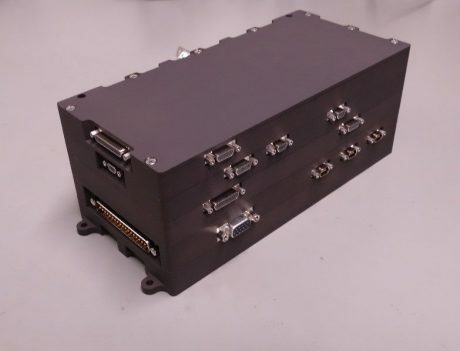 The PCU-100 by Berlin Space Technologies is a sophisticated power control unit for small satellites. It is able to handle power regulation, power switching, DC/DC conversion and safety features of a small satellite. It is highly adaptable for different missions and sub systems. It has space heritage and is qualified for space.